I have never done Apple Week in my class before. 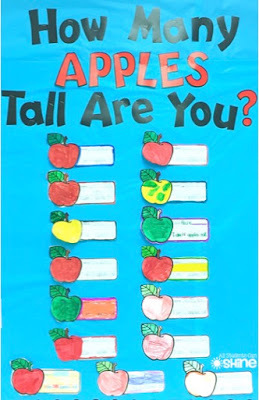 I know, I know... Crazy! Well, you will be happy to know that we had Apple Week last week and we had a blast! 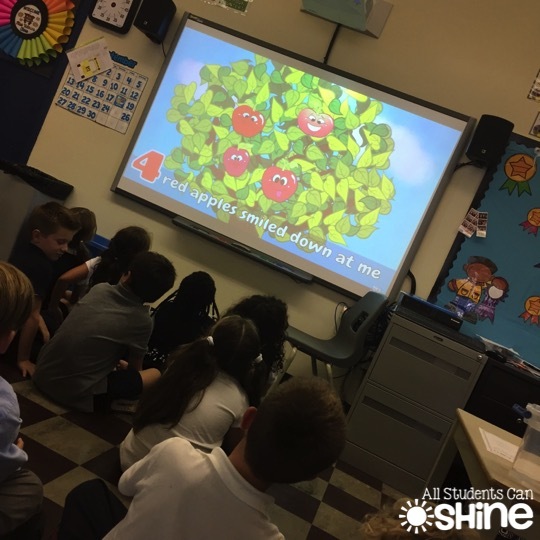 I found this fun song on YouTube and my students loved it! We did a quick predicting activity and put it to the test. 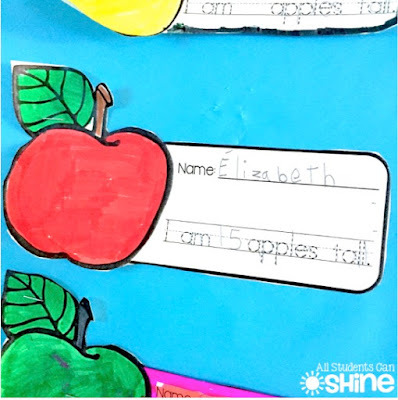 We worked on using adjectives to describe apples. 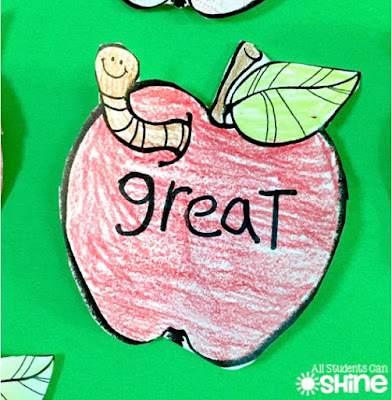 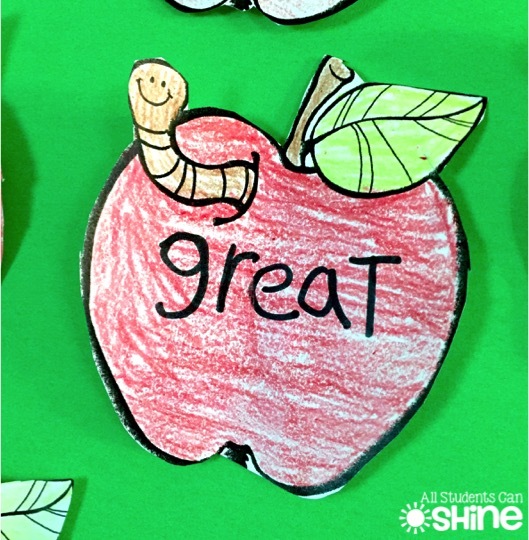 Every student chose an adjective and wrote it on an apple. 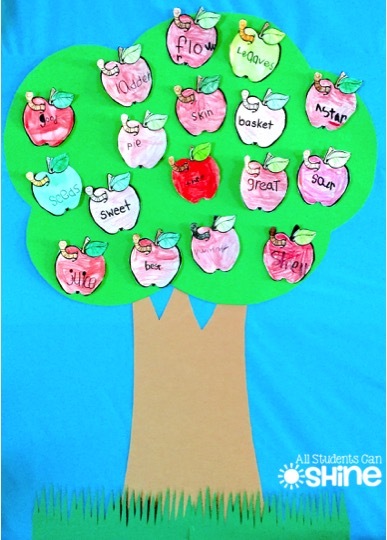 Take a look at our apple tree! I asked parents to send me an apple for some of our activities. 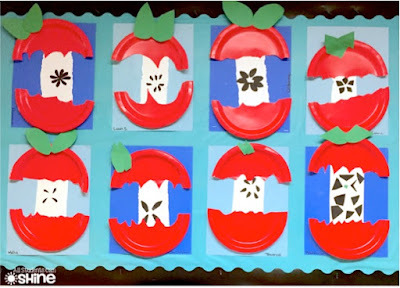 We sorted the apples by color (sorry, I forgot to take a picture of that). 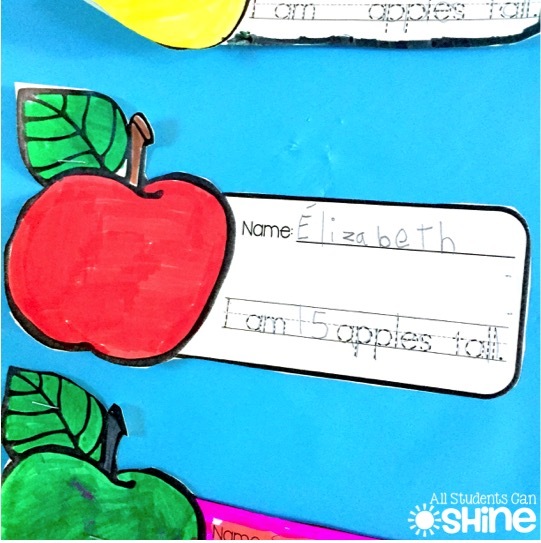 We also measured ourselves with our apples. 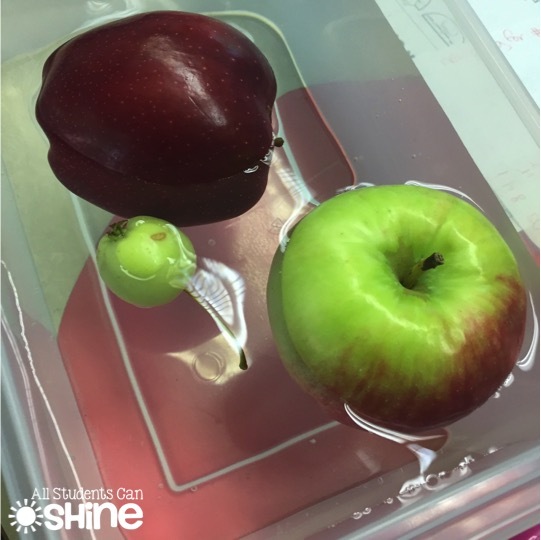 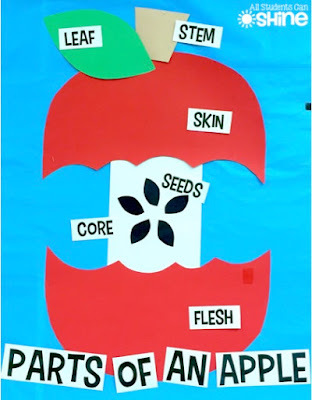 We looked at different parts of the apple. 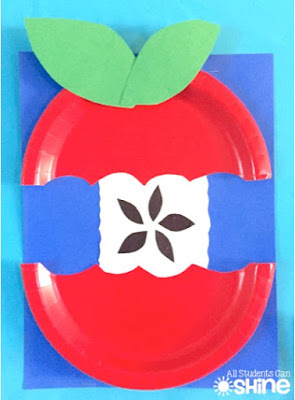 Finally, we made an apple craft! 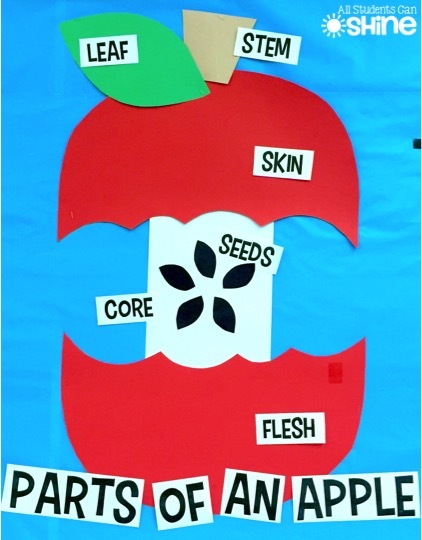 Take a look at our apple bulletin board! 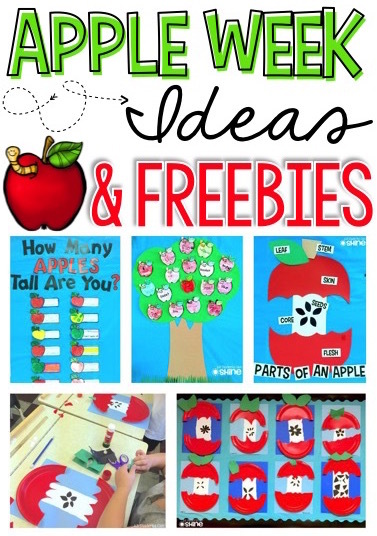 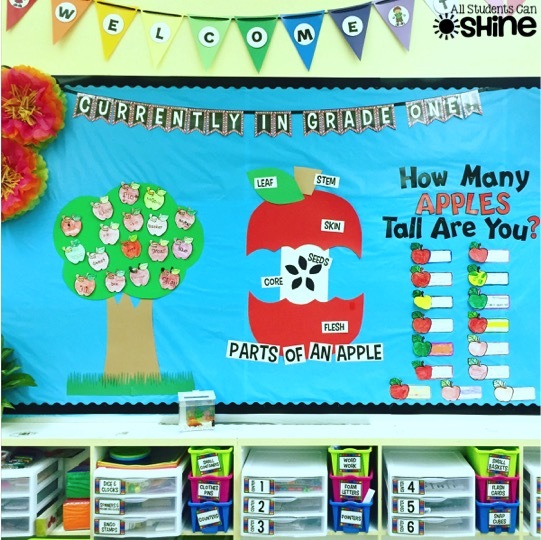 Want to make your own apple bulletin board? 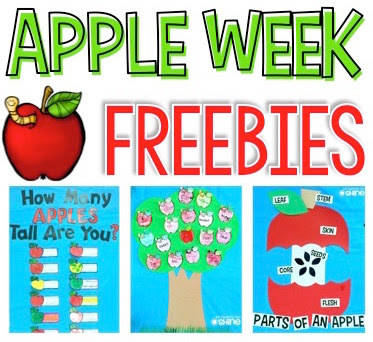 You can grab we few things for FREE today. 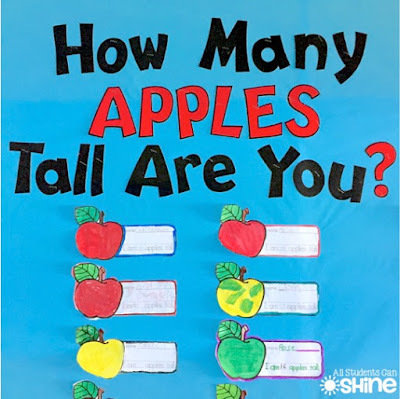 Just click on the picture below! Next week, we will learn all about pumpkins! 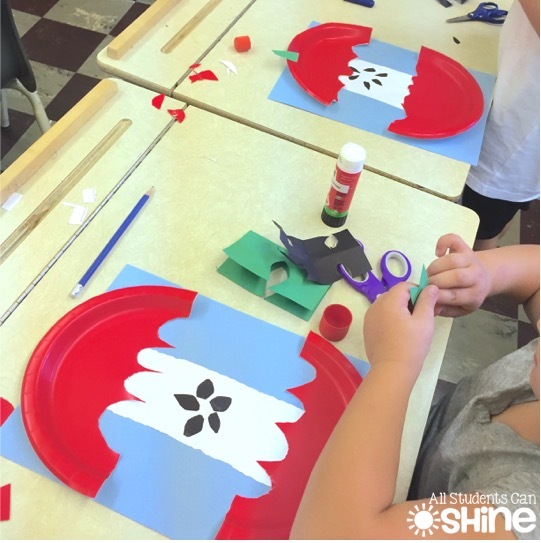 Looks like a fun week! 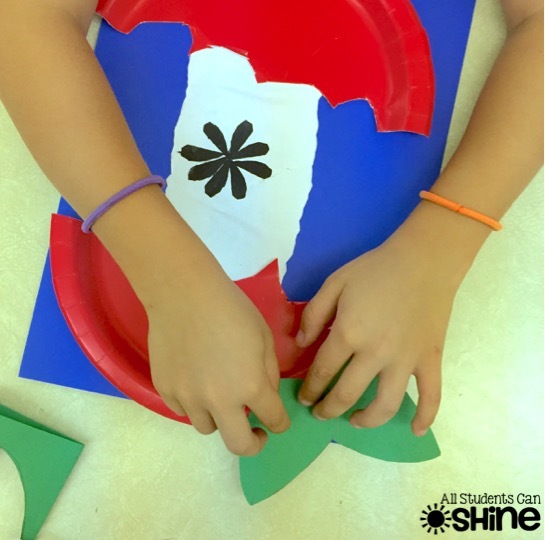 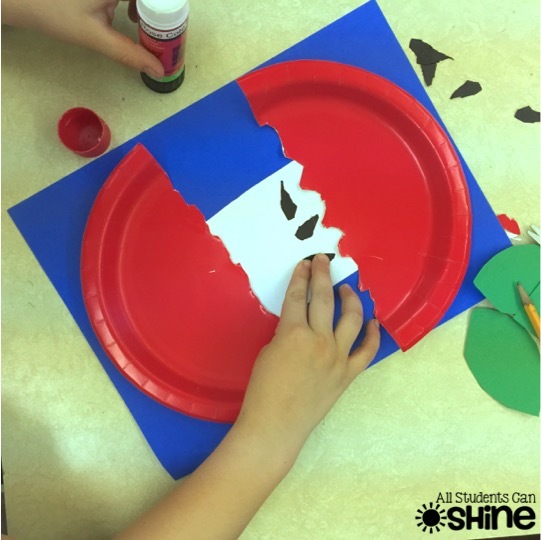 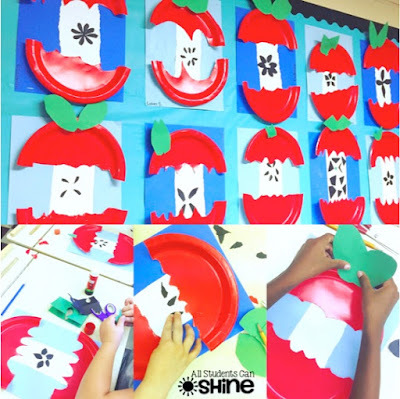 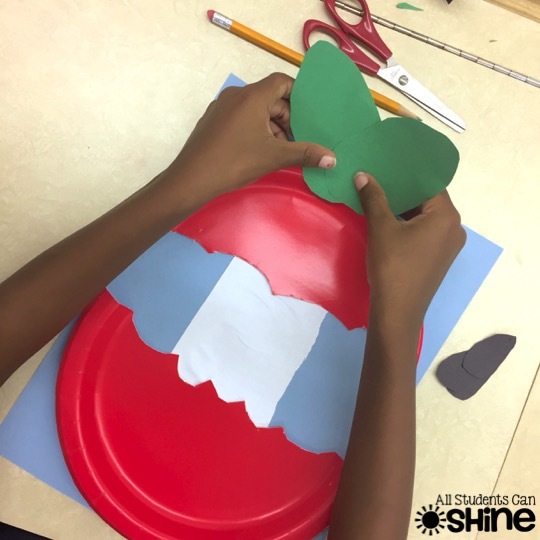 Love the apple craft and using red plates instead of having to paint a paper plate - will have to remember that one for next year! 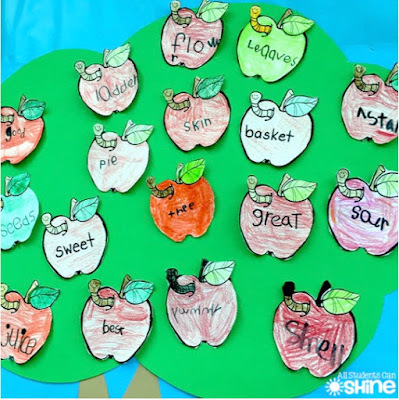 Always enjoy apple week :) Do you think you will now do it every year?